October 4, 2016 – DKI, North America’s largest disaster restoration contracting organization, is excited to grow its Commercial Solutions division and welcome its newest addition, Matt Wright, national account executive. 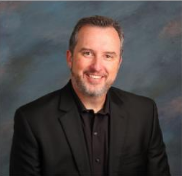 Wright is no stranger to the property restoration industry as he brings 13 years’ experience from Utah Disaster Kleenup (UDK), a DKI member company, and leading providers of disaster restoration, COCAT, LLC in Denver, Colo. and Blackmon Mooring in Fort Worth, Texas. He also has over 20 years’ experience in sales, working for Coca-Cola Enterprises and including his work in disaster restoration. Wright’s expertise lies in creating successful sales teams and effective client management. In his new position, Wright will focus on increasing DKI’s client base through promoting the national DKI brand in all commercial channels of trade within the industry. “By uniting our members to a common commercial sales-driven purpose, DKI will become synonymous with value added services and a single disaster recovery solution nationwide,” said Wright. Wright resides in the Nashville, Tenn. region with his wife and their two boys, and enjoys golfing, camping and other outdoor activities.